Join us on a Dine Crawl! New for Dine Cowichan, this group dining experience is a bit like a Pub Crawl only with food instead of booze (although, you're welcome to enjoy a beverage or two along the way). 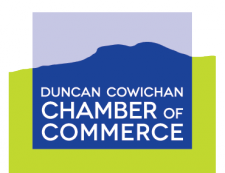 With over 25 restaurants participating in Dine Cowichan 2019, the Dine Crawl is a great way try out multiple restaurants in the company of like-minded foodies! The first Dine Crawl will be a chauffeured exploration of three South Cowichan restaurants. We'll depart Valley View Centre on the Cheers Cowichan Tour bus and head to The Summit Restaurant at the Villa Eyrie Resort for appetizers and breathtaking views. For our main course, we'll enjoy the waterfront atmosphere at Bridgemans Bistro in Mill Bay. Finally, we'll finish back at our departure point for gelato and espresso at Pizzeria Prima Strada. Tickets are $65 per person, including GST. Beverages and gratuities are additional and pay-as-you-go. Advance registration is required and you will be asked to preselect your appetizer and main course options at the time of registration. There are only 10 spaces available and tickets are non-refundable. PLEASE NOTE: As this is a chauffeured event, guests must be on time for a prompt 5:00pm departure from Valley View Centre. Out of respect for the guests and host restaurants, late comers will not be accomodated. Price includes GST. Beverages and gratuities are additional and pay-as-you-go.